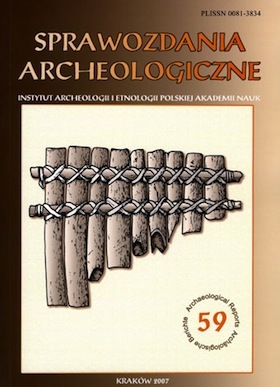 Author considers chronology and social interpretation of graves with glass beads on cemeteries of the late phase of Tarnobrzeg Lusatian culture in south-eastern Poland. He recognizes them as a ritualized reflection of higher social status heritage among some mothers and daughters. Probably it functioned only during a short piece of time at the end of Hallstatt Period and/or at the beginning of La Tene Period of the Iron Age.